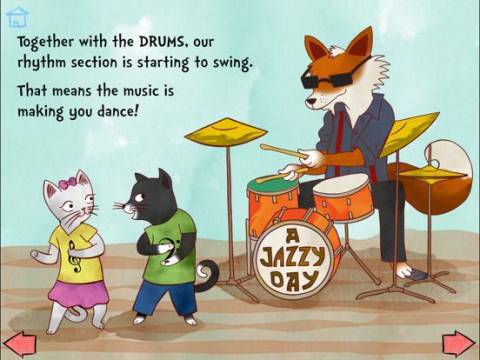 What it is: an interactive book about music instruments and jazz (15 pages long) plus extra activities. 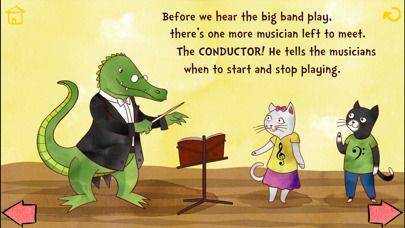 What you do with it: listen to the story (or read it by yourself), interact with the objects on each page (e.g. 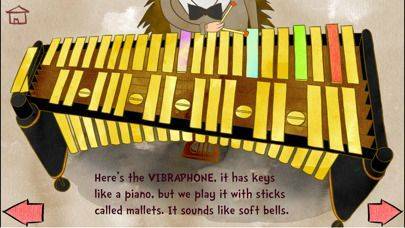 touch the musician to play a sequence of sounds, try playing the vibraphone etc). 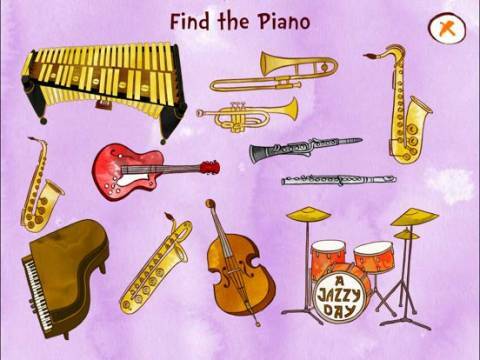 The additional activities include: learning the names of musical instruments, recognizing instruments by their sound or by their appearance. 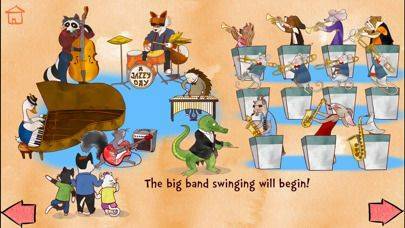 What we liked: the concept, simple graphics and animations, simple operation, good quality audio (both narration and sounds of the instruments), good educational value (for learning about music). 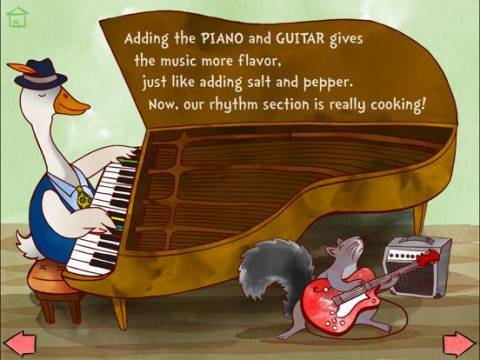 What we didn't like: the reading options could be better (text is not being highlighted, you can't repeat paragraphs or pages). 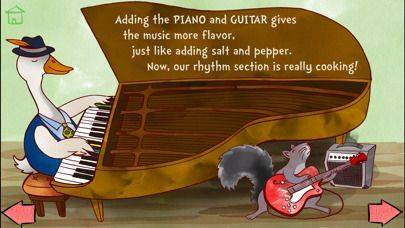 In the 'read it myself' mode you the instruments will start playing by default which can distract the reader. 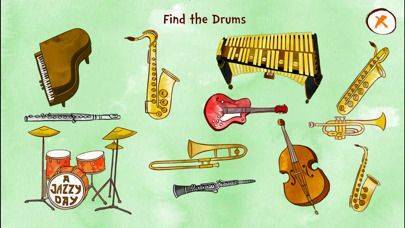 The 'learn the instruments' section is very simple - why not include some extra information here? 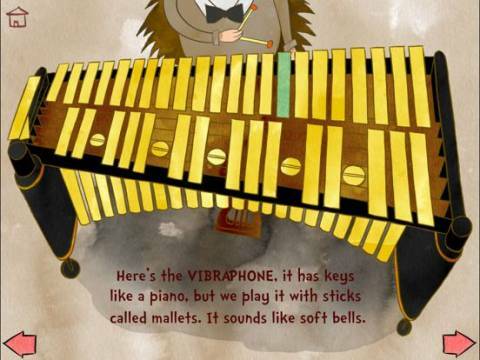 In an app like this we would like to see more interactions/activities like the 'play the vibraphone' activity! 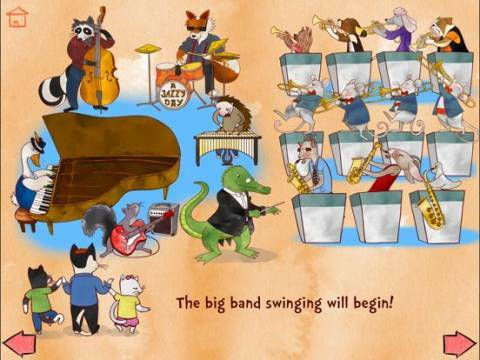 Bottom line: if you are looking for a way to introduce your kids to jazz music - this app is perfect.